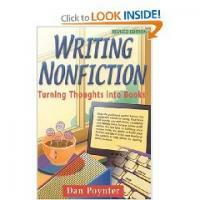 Writing nonfiction requires an understanding of your topic or a willingness to research it. Tips for writing a nonfiction novel are sought by first time writers, experienced authors and ghost writers alike. Nonfiction differs from fiction in three fundamental ways. Primarily, nonfiction focuses on real subjects; it typically involves focused research or interviews and provides verifiable information to the general knowledge base. Many fiction writers believe that writing nonfiction is easier than fiction because all the resources are available for the writer. The wide variety of nonfiction categories allows writers to research a plethora of information from the fascinating to the most mundane. Biographers, for example, may seek to interview the subject of their biography (if the subject is still living) or friends, family and acquaintances if they are not. Some biographers simply rely on the media reports and skip over trying to get to know their subject under any other light. Depending on their subject's popularity, these books may sell quite well. When writing a nonfiction novel, it's important for the writer to recognize that they do not have to just write what they know; they can also write what they want to know. Books on the craft of writing are nonfiction novels. 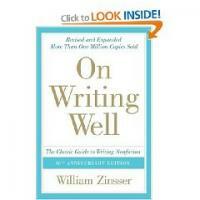 They provide how to guides for aspiring writers from writers who have been there. The categories are limitless. The nonfiction writer needs only to tackle their subject with vigor and determination. Are you knowledgeable or an expert in the subject? Do you have access to experts that you can interview? How many chapters would your book have? Who would your book appeal to? 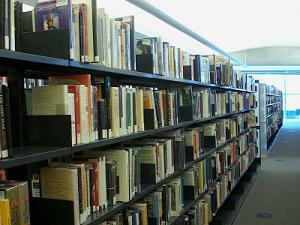 How many books are available that discuss what you want to discuss? Each of these questions will give you a firmer grasp on the subject material, marketability and amount of time necessary to create the book. A book on parenting, for example, may be written in two weeks by a well-versed mom with a degree in psychology. Moms writing to other moms offer a conversational approach to subjects and issues that all moms face at some point in time or another. The wide variety of parenting books from the experts (moms, psychologists, pediatricians) suggests not only does the market want more information, but also that many voices provide the audience with the voices they want and need to hear. When you know what subject you want to write about, the length of the book and the market you are writing for, it's time to write an outline. Your outline should reflect the plans you have the book, incorporate interviews and make note of any research options. For example, a book on history of the American Civil War may incorporate interviews with curators of various historical museums across the East Coast. You'll want room in the outline to list interview names, contact information and dates for when you need to get questionnaires out to them. An outline for a nonfiction book will often look like a day planner of events that follows a specific pattern (i.e. chronological, alphabetical, geographical) and helps you organize your ideas, thoughts and work. The working outline may not be what you submit to a publisher, but it will provide you with the guide to carry you from chapter one to the last page. Tips for writing a nonfiction novel often include platitudes and road maps to accomplish the goals you set for yourself. Because so many categories of books fall into the nonfiction arena, the only person who can provide you with the guide to the book you want to write is yourself. Ultimately, as a writer, the thing to do is write the book you want to read, do your homework and never cite a 'source' without being able to name it.